CherryXtra Capsules - Made using 100 % Montmorency Cherries. 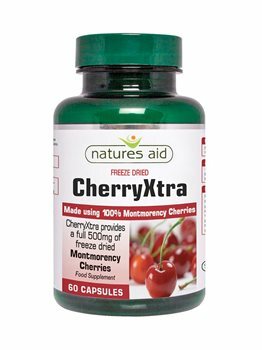 CherryXtra capsules are made from 100% Montmorency Cherries. The cherries are freeze dried to maintain their natural antioxidant properties. Freeze dried Montmorency Cherry (Prunus cerasus) Powder - 500mg. Not recommended for use during preganancy or when breastfeeding.